Despite the fact that I thought Revolution 19 was a fairly average read, I was still excited to check out the sequel. The ending of Revolution 19 opened up a lot of possibilities for the sequel, and I wanted to see where the characters could go next. 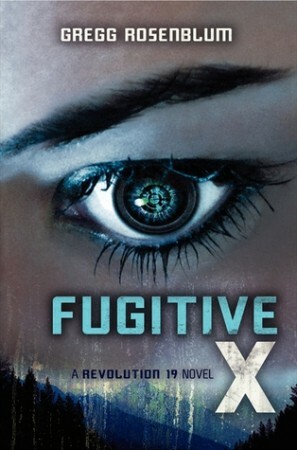 But Fugitive X was a book that I just couldn’t get into, no matter how hard I tried. My main issue, I think, was the multiple points of view. This worked well in the first book, and I really enjoyed that, but in Fugitive X it was all very jumpy, and I had trouble following the story. There was a handful of pages in one character’s point of view, and then it suddenly switched to the next. There was no flow at all, and it was very jarring. I’m disappointed, because I was looking forward to a light, robot-filled read to pass the time in between other books. Unfortunately I couldn’t continue reading because I had no idea what was going on or whose head I was in at the time. I will definitely be avoiding this one. Thanks for the heads up Amber! No problem! I’m so disappointed, I was ready for more robot craziness.